Posted on Tuesday, September 23rd, 2014 at 9:20 am. 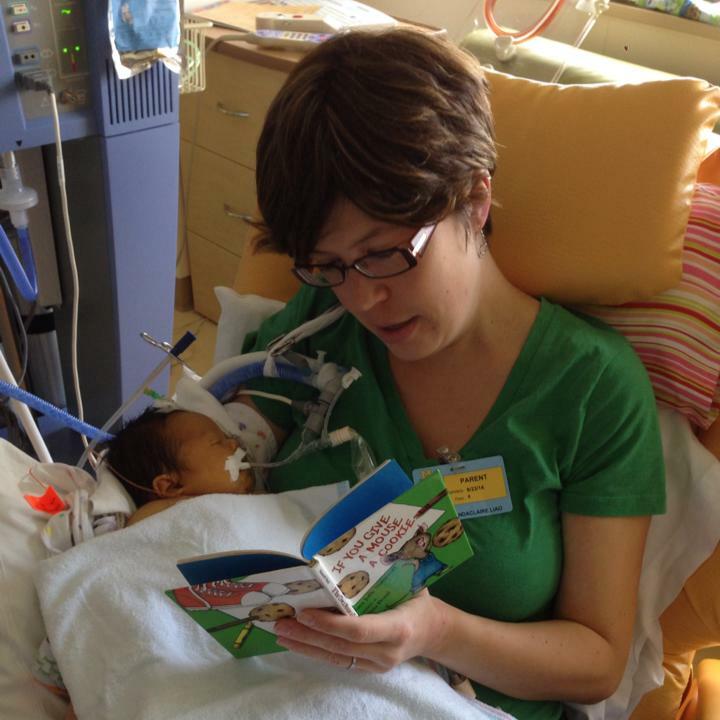 Brave Benjamin earned his angel wings and passed away to heaven peacefully in his mommy’s arms on October 6, 2014. He touched so many lives during his 6.5 weeks with us… doctors, nurses, friends, family, and people who never met him, but were inspired by his story to join the bone marrow donor registry. We truly hope that at least one of you will be a match and save a life. Benjamin’s doctors confirmed that he had a match, but his HLH took too great of a toll on his organs. We are thankful for the time that we had with Benjamin, the love that he shared with us, and find peace that he is with God watching over us. He will always be in our hearts. Thank you again for all of your prayers and support. The staff of TaiwaneseAmerican.org sends its deepest condolences to Tim, Mandy, and the extended Liao family. Our hearts are with them and Baby Benjamin. For our readers, we hope you will continue to join the Bone Marrow Registry since Taiwanese Americans and Asian Americans are extremely under-represented. Together we can make a difference. The following is a letter from a friend in the Taiwanese American community, regarding his newborn son, Benjamin, who is in need of your help. My name is Tim Liao and I am writing this from my son’s room at the Mott Children’s Hospital at the University of Michigan in Ann Arbor, MI. 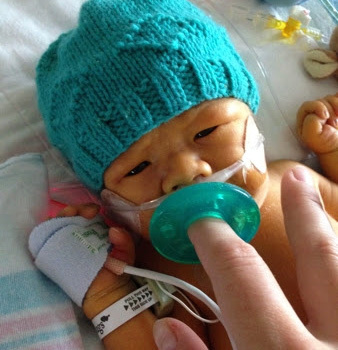 I am reaching out to you because my newborn son, Benjamin Liao, born only 4 weeks ago, was recently diagnosed with HLH (Hemophagocytic Lymphohistiocytosis), a rare immune system disorder that damages healthy tissues and organs. HLH is 100% fatal if not treated. Benjamin will only survive if he finds a matching bone marrow donor in the upcoming weeks, the chance of which is directly correlated with finding donors of similar ancestry. In Benjamin’s case, he is a mix of Taiwanese, German, and Irish. It is for this reason that I am encouraging Taiwanese American communities across the nation to help share Benjamin’s story and to join the bone marrow registry at www.curebabybenjamin.org. There has been an ongoing shortage of non-Caucasian donor registrants, particularly those of mixed ethnic or racial backgrounds. Every new donor registrant may help save a life, possibly even Benjamin’s. I know how tight-knit the national (and international) Taiwanese community is based on my family’s experience over the years, and I thank you for giving me the opportunity to share Benjamin’s story. To give you some background about me, I am a second generation Taiwanese American and grew up in Ann Arbor, Michigan. I remember going to the Taiwanese American Foundation (TAF) summer conference as a child; my sister, Susan, was both a TAF camper and a counselor in the mid-90’s; and my other sister, Ann, was part of the original University of Michigan-TASA chapter in 1992. My parents moved to Ann Arbor over 40 years ago and my mother still lives on the Northeast side of town and is actively involved with the local Taiwanese community and NATWA. I currently live in Grand Rapids, Michigan where I met my wife of two years, Mandy, who is an elementary school teacher. Benjamin is our first child. Despite myths about involved and painful procedures, the bone marrow donation process is relatively simple and painless. All it takes to join the marrow registry is to complete a brief questionnaire, a cheek swab, and a small time commitment to donate if matched. Please note: to provide the best outcome for donor transplant recipients and to protect the health of potential donors, BeTheMatch.org only provides free registration for those between the ages of 18 and 44. If you are interested in volunteering on behalf of Benjamin’s cause, please email me directly at [email protected] I am looking for local contacts to help the Asian American Donor Program (aadp.org) setup donor drives to aid Benjamin’s search (and others like him) for a donor match. I will also be coordinating additional outreach, both nationally and internationally, with BeTheMatch.org. 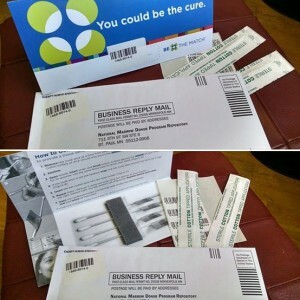 – A financial contribution to help support BeTheMatch.org. Each kit costs $100 to process, but BeTheMatch absorbs the cost so that registration is free to the potential donor. – Your time by volunteering at a donor drive event. BeTheMatch.org is operated by the National Marrow Donor Program and is a great resource for people who would like to join the registry OR set up a bone marrow drive near them. BeTheMatch.org also provides in-depth information on what it means to be a donor. The Asian American Donor Program (www.aadp.org) is another resource that specializes in outreach and donor registration drives in the Asian, Pacific Islander, and Multi-racial communities. Thank you for listening and sharing.